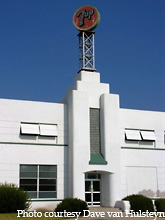 This art deco palace is home to a 7up bottling plant. See historic roadside treasures like this at Roadside Peek's Historical Sites Central California. 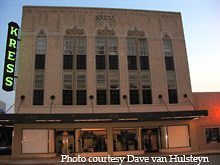 Located in downtown Bakersfield, this historical Kress building still features the blade neon sign as it looked back in the day. See the retail shops that have disappeared at Roadside Peek's Bygone Retail Central California. 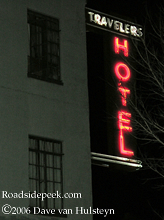 The Travelers Hotel in Salinas features a neon sign that lights the way into this old historic hotel. 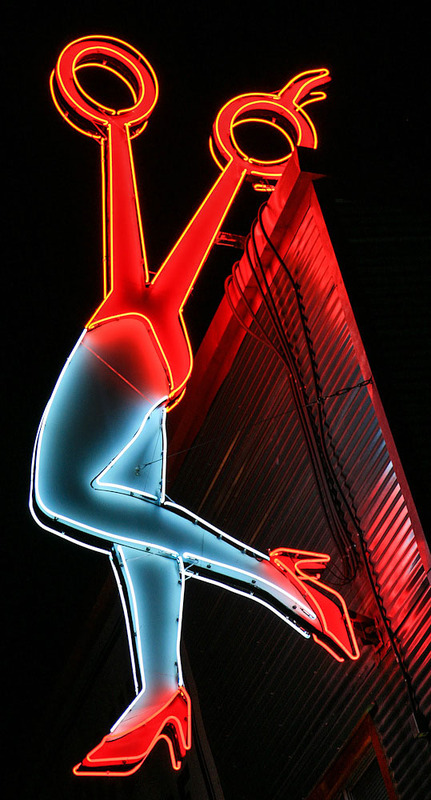 See more at Roadside Peek's Historic Hotels Central California.